Even with today's technology, the security of the community is dependent on patrolmen who deter intruders and respond to alerts. The use of a Patrol dog as part of a patrol team is a force multiplier. In many settlements, at times, the security of the community is in the hands of a single patrolman. The probability of being surprised or ambushed is dramatically reduced when the sharp hearing, the keen eye and the highly honed hunting instincts of a well trained patrol dog are on the team. 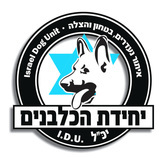 The Israel Dog Unit has supplied over 300 dogs to vulnerable communities since the turn of the millennium which, only Hashem knows how many tragedies they have averted. The Israel Dog Unit imports, breeds and trains Patrol Dogs to be particularly confident and powerful. The Unit also offers ongoing training, support and advice to the Patrolmen about correct maintenance and handling of the dogs. The unit also absorbs Youth at Risk and Hilltop Youth to offer then a constructive and disciplined occupation to channel their energies. These youngsters become full time volunteers of the unit and often go on to become responsible combat soldiers, commanders and officers in the IDF. Many of them go on to sign on to permanent force gainful employment in the security industry. These volunteers are also provided with the opportunity to further their education and relevant courses such as map navigation, diving, repelling, first aid etc. The cost of preparing a Patrol Dog and taking the needs of the volunteers are extensive and the unit does not receive and financial assistance for welfare or governmental bodies. The unit relies totally on the generous donations of our friends.